This is a 5-color 4" cement tile, using Atmosphere, Velvet Sky, Deep Inlet, Malibu Blue, and Maple Sugar from the South Beach Palette. 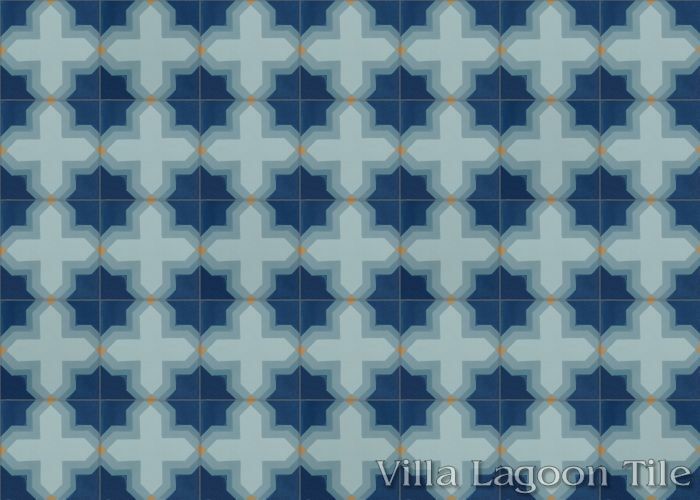 This original Villa Lagoon Tile pattern carries the tradition of Moorish and Moroccan geometric patterns. 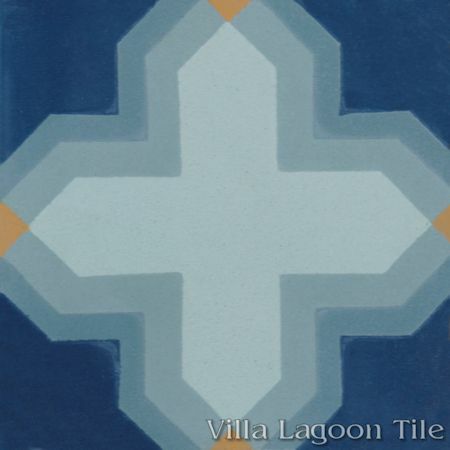 The interlocking crosses and stars are a classic arabesque motif. While now a recognized English word meaning "fate", "Kismet" came to us from Turkish, and originally from Arabic. 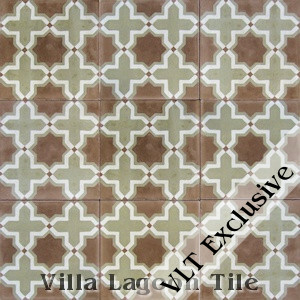 Standard Price:$1.95 per tile ($18.14 / square foot)48 tiles per box. One full box minimum order. 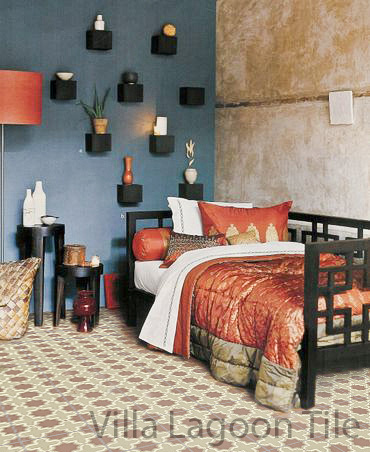 You can mix any in-stock patterns (whole boxes only). 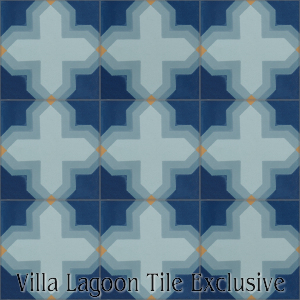 This pattern is a Villa Lagoon Tile exclusive. 4" nominal square. Approximately 98mm square by 16mm. 9.3 tiles per square foot. 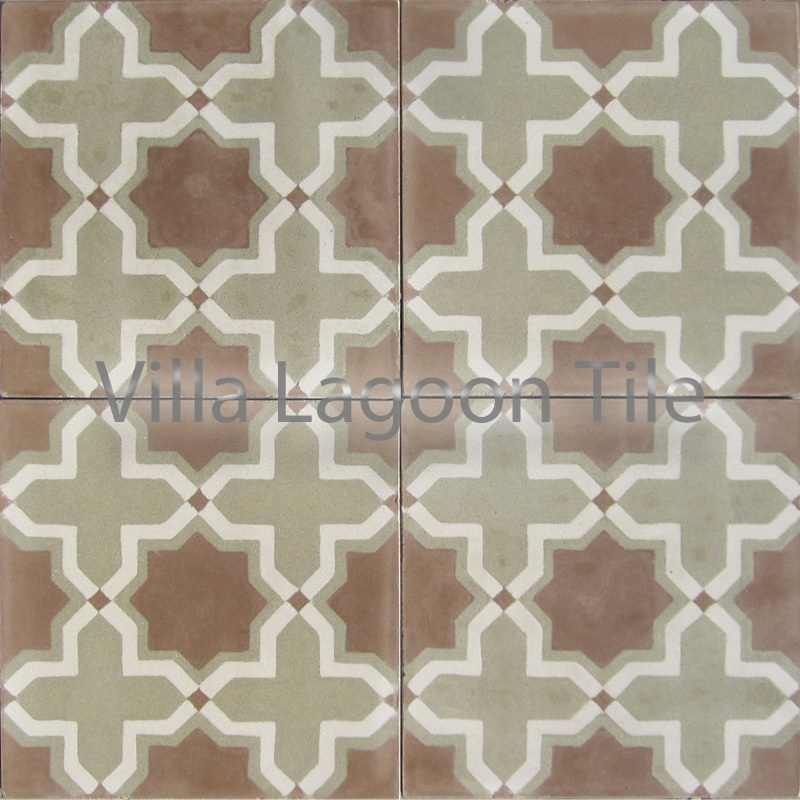 Villa Lagoon Tile's "Kismet" cement tile pattern using Ivory, Khaki, and Cinnamon from the Marrakesh Palette.